Have you ever wondered what types of emergencies we see here at the Veterinary Emergency Hospital of West Toronto? We get asked all the time what kinds of things come in to see us, especially in the middle of the night and on holidays and weekends. I thought I would make a short list of the top emergencies we see and are capable of dealing with after hours when your family veterinarian is closed. Vomiting and Diarrhea - This is probably the most common ailment we see in both dogs and cats. Continuous vomiting and diarrhea can lead to dehydration and electrolyte imbalances requiring medical intervention. Some diagnostics that may be recommended are radiographs, to check for any possible obstructions and bloodwork to determine the severity of the dehydration. In some cases we can treat the patient as an outpatient with some medication and send them home and in other cases that are more severe, we will hospitalize them on IV fluids and administer medications IV until they are able to keep food and water down on their own. Toxin Ingestion - Pets are very curious and they don’t know what isn’t good for them. We see pets that have eaten chocolate, human medications like tylenol or advil, pesticides, rodenticides like rat poison, fertilizer, chemicals like antifreeze, illegal substances like marijuana, and lots of other things. You name it, they might eat it! All toxins are different in how they affect the body, some may cause vomiting and diarrhea and nervous system depression causing your pet to appear “drunk”. And others can cause kidney or liver failure which may not be apparent until a couple days to a week after ingestion. We can effectively induce vomiting if indicated and provide support and/or protectants for the kidney and liver if needed. The ASPCA has a mobile app which you can download to give you up to date information on animal toxicities. Inability to Urinate - Both dogs and cats are presented with the complaint “he/she hasn’t peed since . . . “ . This is a very serious emergency as the bladder will explode if stretched too far. Sometimes this is also confused with constipation or vice versa. Usually when they are unable to urinate it becomes extremely uncomfortable and the animal will vocalize, strain, and may start vomiting. The inability to urinate is usually due to a blockage in the urethra. Sometimes we can see on an x-ray where the blockage is. We are also able to pass a urinary catheter to relieve the blockage which stabilizes them until we can find out why the blockage occurred. Breathing Difficulties - We consider any breathing difficulties to be an emergency and when presented with a patient who is in distress we can provide oxygen therapy immediately upon arrival to the hospital. 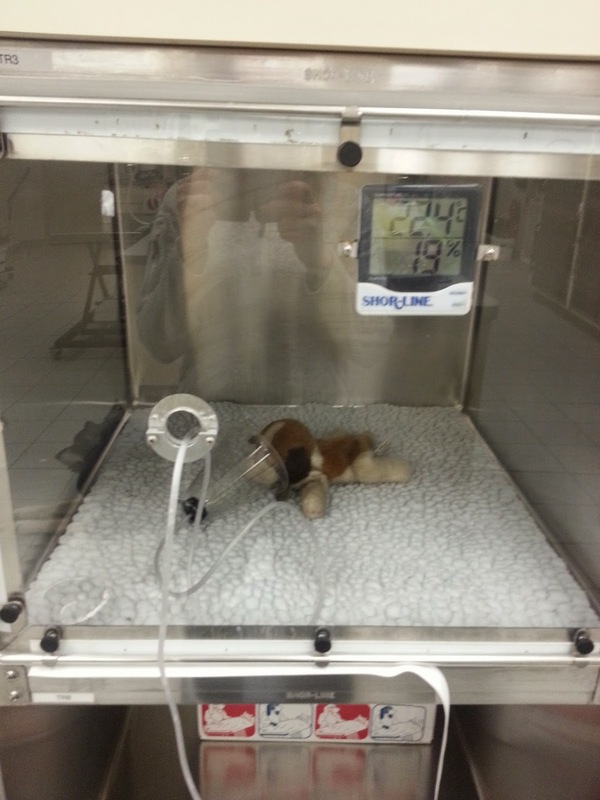 We have flow by oxygen and oxygen chamber’s to optimize the oxygenating ability of the patient. Breathing difficulties can be due to a number of different reasons, so it’s important to have your pet seen by a veterinarian as soon as possible to determine the cause and to avoid respiratory arrest. Once we know what’s causing them distress, we are able to offer treatments and hopefully make them more comfortable. Animal Altercations - We will often see patients who were attacked by other animals. Some of these attacks cause only minor scratches and hurt ego’s. Other times the attack causes severe trauma and may need emergency surgery to fix the wounds before infection sets in. Our ER Veterinarians are able to provide emergency surgery at any time of night to ensure your pet has the best chance of healing and recovery. Hit By Car - Unfortunately pet’s don’t understand the rules of the road. Most times the pet is presented immediately following the accident. They are usually in shock and require supportive care and pain management even before we can fully appreciate any injuries that were caused by the accident. We will measure their blood pressure, provide oxygen therapy and possibly perform radiographs or an ultrasound to rule out life threatening internal injuries you can’t see with the naked eye. Seizures - This is very scary for pet owners to witness! A seizure can start out as facial twitching and progress to full out convulsions with loss of bladder and bowels as well as drooling. We have medications here to stop the seizure so as to limit the amount of brain damage that may occur due to prolonged seizuring. We are able to provide 24 hour monitoring by a Registered Veterinary Technician with an ER Veterinarian for any additional seizures. Bone Fractures - With 4 legs, it can be hard to keep track of where they’re all supposed to be going at all times! Some dogs break their leg by jumping off the bed or chasing squirrels. 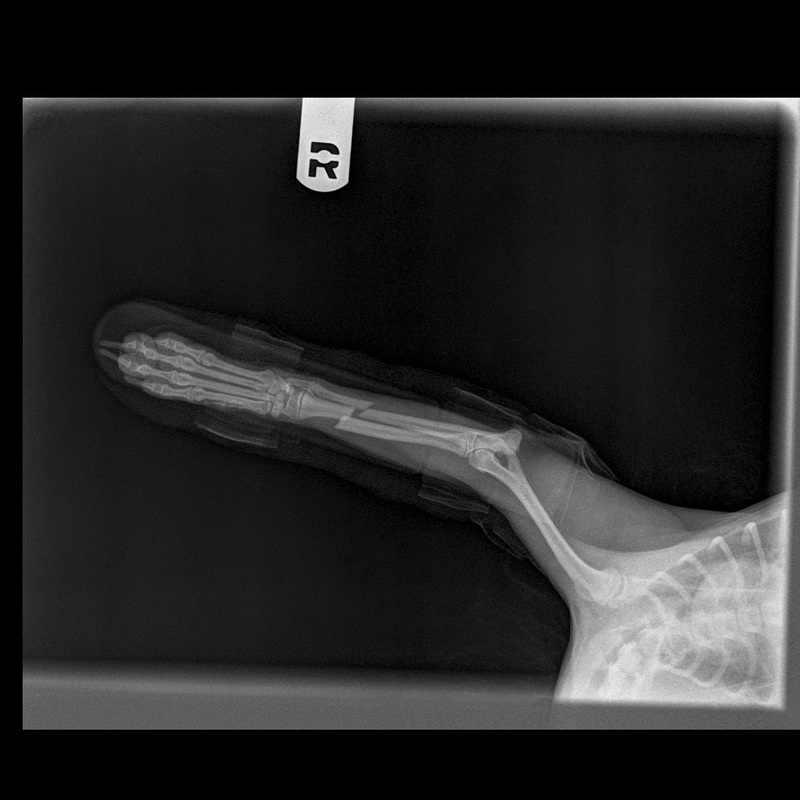 We can diagnose a bone fracture with x-rays and provide splinting and pain medication until the fracture can be fixed by a veterinary surgeon. Dr. Craig Miller is a board certified veterinary surgeon with more than 25 years experience. He works out of our location and we can facilitate a direct transfer for a consultation with him if needed. Visit his website for more information. Generalized Non-Specific Pain - Animals can’t talk, so when they are painful, it’s usually the owner’s that notice something is off, but they can’t put their finger on it. The veterinarian can perform a full physical exam to try to pinpoint the area(s) that may be painful based on the animal’s response during the exam. We can also perform blood analysis in house with full results in under an hour to see if the pain is stemming from an infection or organ dysfunction. We also are able to prescribe pain medication specifically formulated for animals that won’t cause toxicities like tylenol and advil! Bloat - Otherwise known as Gastric Dilation Volvulus, the stomach fills up with gas and twists on itself. We mostly see this is deep chested dogs, they will be lethargic, have non-productive vomiting, increased salivation, and the stomach will appear distended or “bloated”. When the stomach twists, it causes a decrease in blood flow essentially causing the stomach to “die”. We are able to perform an emergency surgery in which we flip the stomach back to it’s normal position to regain blood flow to the tissue, and tack it onto the body wall to hopefully prevent it from twisting again in the future.